The Electrical Safety Council provides guidance on electrical Safety to householders and landlords. Information on its website (www.esc.org.uk) includes details on how to choose an electrician. See how we match up! · We can happily provide references from letting agents and individual householders. · We’re happy for our industry accreditation to be verified. · We have extensive Public Liability Insurance and offer an insurance backed warranty. · We agree timelines and payment terms. We also provide written quotations. · We provide the appropriate electrical certificates for all work. 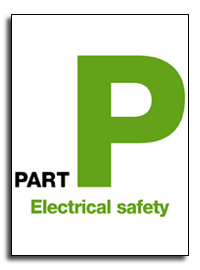 · We are Part P certified in the UK with ELECSA and members of the Electrical Contractors Association. We are also registered with The Electrical Contractors Safety & Standards Association to carry out work in the Republic of Ireland. · Our customers come back to us! We provide free estimates for any electrical work you need doing. Copyright 2011 AAPW Electrical Contractors. All rights reserved.